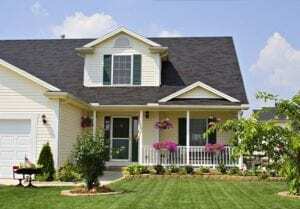 Home » Blog » How Can Home Updates Improve My Resale Value? How Can Home Updates Improve My Resale Value? For people who are eager to sell their home for the best possible price, making it appealing and presentable to potential buyers is a key element in their strategy. It’s important to note that not every project that you undertake is going to have the same return on your investment. Even those more popular undertakings might not have the economic punch you envisioned. Should I Re-Paint My Home? If it’s been more than a few years since your home’s exterior has been painted, it’s likely that you’ll need to have it redone before you put your home on the market for sale. While painting is a value-conscious project, it’s rate of return might not be as positive as you hope. When faced with a similar home with an exterior material that needs less maintenance — siding, for example — your home could lose out. When a potential home buyer views a home with siding, it makes an immediate impression. Attractive and easy to care for, innovations in siding have exploded in recent years. While siding is a good project to increase your home’s sale price, be careful to measure the type and style of siding against that return. Some specialized siding can be quite pricey. Your landscaping is a flexible area of home improvement that can really pack a powerful punch. The great thing about landscaping is that you can make the project as low key or involved as you want and still reap great results. Just keep in mind that you might not get all of your investment back if you go for a total property makeover. Installing new windows is a surefire way to gain interest in your home. For one thing, updated windows instantly provide your home with a more pleasant appearance. Additionally, today’s energy efficient windows provide potential home buyers with the knowledge that they will be saving money on their utility bills if they should purchase your home. Again, careful consideration of the potential window styles and designs is necessary to ensure that your expenses don’t outweigh your gains. Much like windows, new doors send a clear message to a buyer that your home has been freshened and updated. The added security that is afforded by the addition of new doors is another important element to consider. When replacing your doors, don’t forget about one of the most important — but often forgotten ones — garage doors. The garage is likely to be one of the first things a potential home buyers sees so it needs to make a good impression. Keeping the above considerations in mind before undertaking a project to ready your home for sale can increase your profit margin. When searching for a garage door repair specialist in the Dallas/Ft. Worth, Austin, or Houston, Action Garage Door Repair Specialists provide you with excellent service and workmanship. Contact them today to learn more.